July 15th is a very important date to all Yukirin fans right? 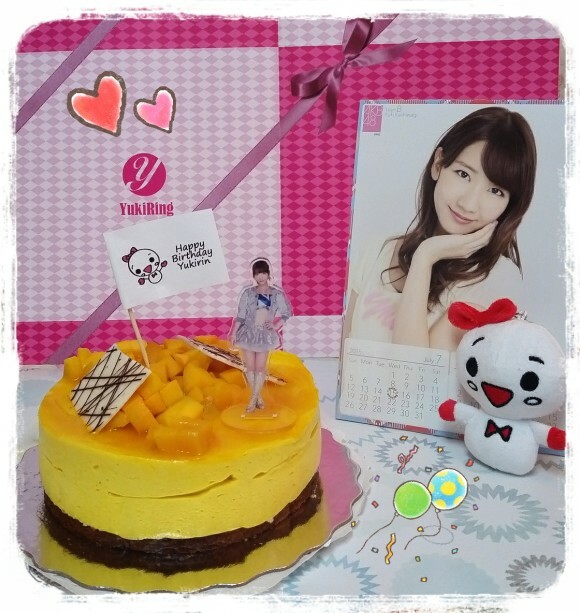 How did you celebrate Yukirin’s Birthday? Did you participate in the Message Festival? Many members posted their Birthday messages to Yukirin online, ( I do mean many!). I’m sure even more sent private mail to Yukirin to wish her a Happy Birthday. 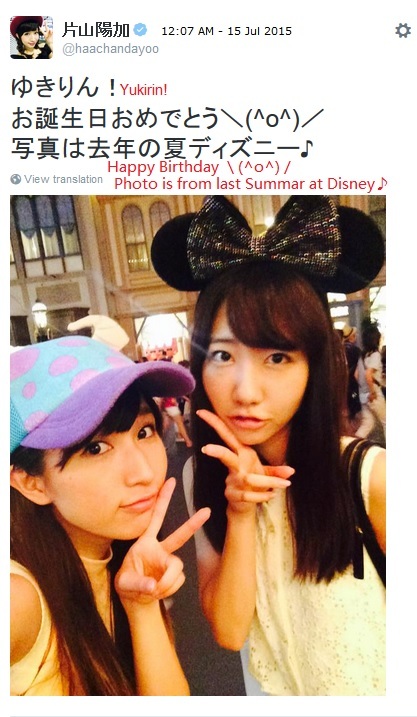 Yukirin tweeted shortly after midnight on July 15th. 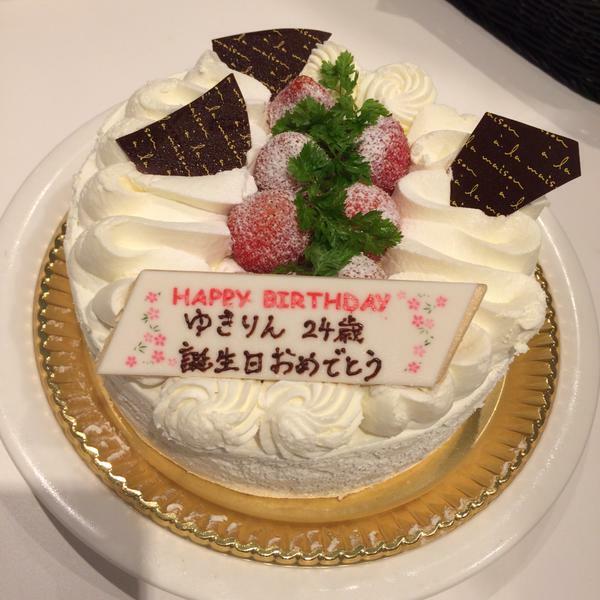 Naanya was the winner of being the first member to send Birthday wishes to Yukirin. Hinana said on 755 that she sent her message at midnight but lost to Naaya. (all these young gens fighing for Yukirin) Naanya was very happy to be first. 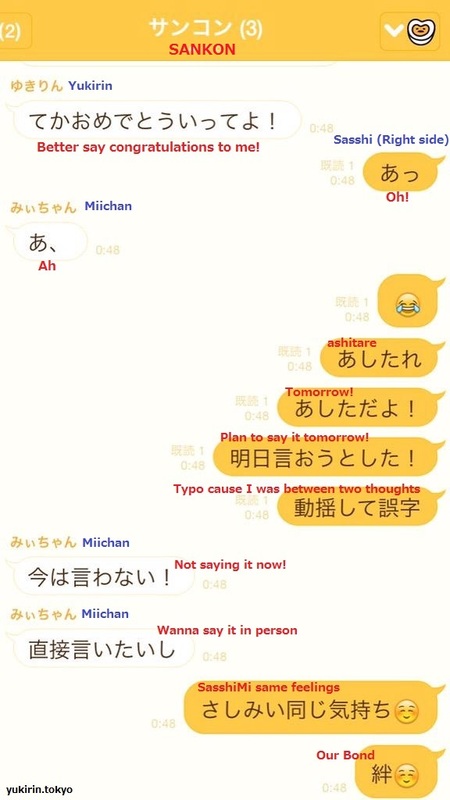 Sasshi then posted a LINE group conversation between Yukirin, Sasshi and Miichan, aka Sankon, not long after midnight. It was quite funny and shows their friendship. List of Members who wished Yukirin Happy Birthday online. List is from 2ch, I lost track of the girls as the list started getting long. 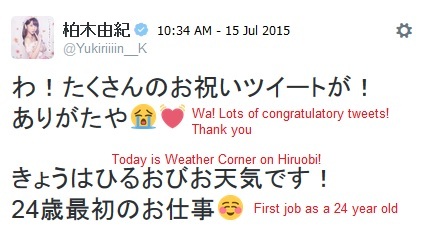 Yukirin’s first job as a 24 year old is Hiruobi! It was a great vacation~ now I have to catchup on Yukirin!